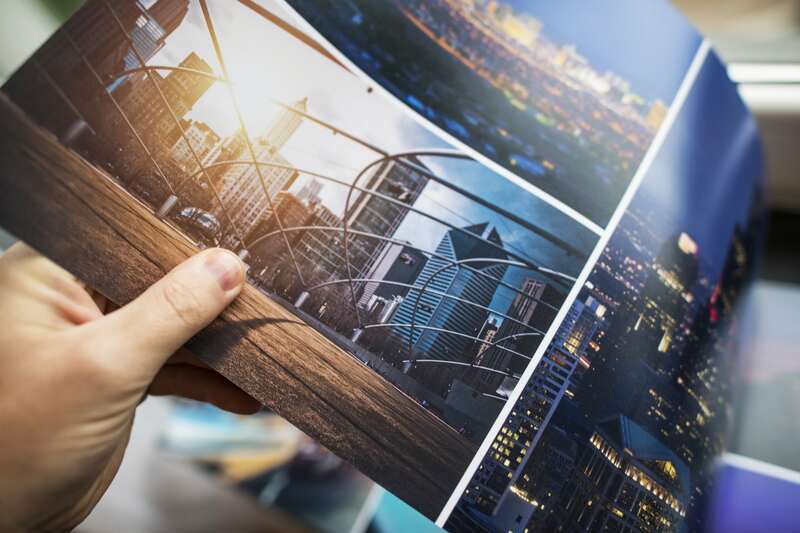 Having a Commercial printer produce high-quality offset or digital print publications can offer your organization printing capabilities you can’t perform at the office. Additional, using commercial printers are the most economical way to produce a large number of copies. Given this, many business owners and marketing departments that are new to the process wonder how they can speed up future printing projects when working on a tight deadline. Receiving quality prints back fast is within your control when you are working with the right printing company. The truth is, we all want our print projects completed as quickly as humanly possible. So how can you speed up your next printing project? Here are 8 ways that you can help procure your printed material back quicker. Planning your printing job ahead of time means discovering the types and sizes of paper, having your digital design created and ready to go, and having an idea of the colors you want. A little planning ahead of time can go a long way in preventing issues that need to be addressed during your printing job. Being aware that specialty, or unique printing jobs involve several additional steps aside from just printing, such as scoring, folding, perforations, die cutting, embossing, and UV coating can all add additional hours or days to your print job. Knowing about these realities ahead of time will ensure your project is completed within your time frame. Digital printing is by far and large the fastest way to print and is usually the ideal for printing a minute number of items. When deciding on how you want your products printed, choosing digital printing will drastically speed up the entire print job. Ensuring that you send print-ready documents to your commercial printer starts your project off on the right foot. Alternatively, sending the wrong type of documents can slow down your printing project to a halt. By “print ready” we mean that you are sending your document in a PDF document with an outlined font, high-quality images, and correct trim/bleed areas. Not sure what trim or bleed is? Contact your printing professional, and they can help you. Ordinarily, commercial printers spend a large amount of time fixing incorrectly formatted documents, and this will inevitably slow down your print job completion time. Ask your printer partner about print specifications anytime you are unsure if what you are sending is correct. By sending your print-ready documents digitally instead of via media through the mail, you’ll not only recieve a quick turnaround time, but you’ll also obtain quicker feedback on the print readiness of the documents. In order to speed up your print job, while ensuring the colors of your design matches the printed version, ensure to specify your ink colors. This can be done by sending your printer the Pantone codes along with your design. Again, if you are in doubt, contact your printing company and ask how you can find Pantone codes that match your colors exactly. Without these codes, your printer can usually find a stock color substitution, but this may lengthen the printing process. For a project in which speed is the ultimate priority, choosing standard sizes, stocks, and colors of paper will decrease your wait time. Unique types of paper are often not kept in stock and therefore must be specially manufactured and shipped, which will add time to your project. If you must have your printing done in a hurry, ask your commercial printing company about the common types and sizes of paper they typically have on hand and what would need to be special ordered. It may seem like common sense but the number of individuals who don’t proof their work is quite high. Your professional printing partner is comprised of humans that are also prone to making mistakes, and so may not catch your mistakes before the project makes it to printing. Speaking of proofs, always expect a proof approval from your printer and ensure you respond in a timely manner to keep your printing project moving forward quickly. Perhaps the best way to save yourself time on your next printing project is to allow your commercial printer facility to handle all the fulfillment options including sorting, packing, and distribution. By allowing your printer to handle all facets of the printing job from start to finish the number of potential errors or wasted time drops dramatically. Acme Printing is a logical choice when you need a commercial printer that can handle all your printing needs from one location. If you are facing a tight deadline on a print project, please contact our team at 423-581-8534 or contact us online to discuss how to ensure your project is completed in the shortest amount of time while still ensuring quality printing.